Ever wondered what a deep freedive would sound like? Written by Hannah Silva and narrated by British actress Fiona Shaw (who played Petunia Dursley in the “Harry Potter” films), BBC Radio 3 has produced a hauntingly beautiful audio piece titled “JUMP BLUE,” that recounts a 101-meter/331-foot dive by freediving legend Natalia Molchanova. “JUMP BLUE” also re-imagines Molchanova‘s final dive, who tragically disappeared during a dive off the Spanish coast in August 2015. 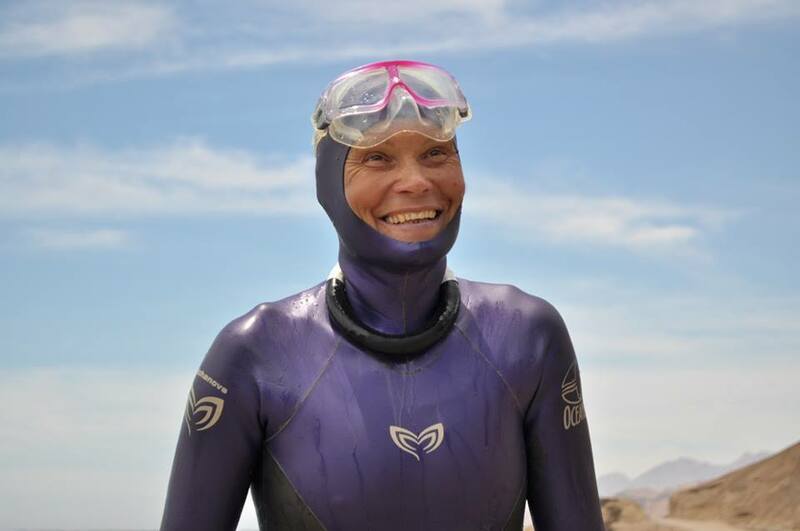 The producers interviewed many of the world’s leading freedivers to make the audio play, including Natalia‘s son Alexey Molchanov, Wiliam Trubridge, Ashley Chapman, Sara Campbell, Herbert Nitsch and others. The 20-minute program is an immersive listening experience which takes the listener down to 101/331ft, and is also an exploration of freediving from the perspective of the freediver. To listen to the program, go to bbc.co.uk.